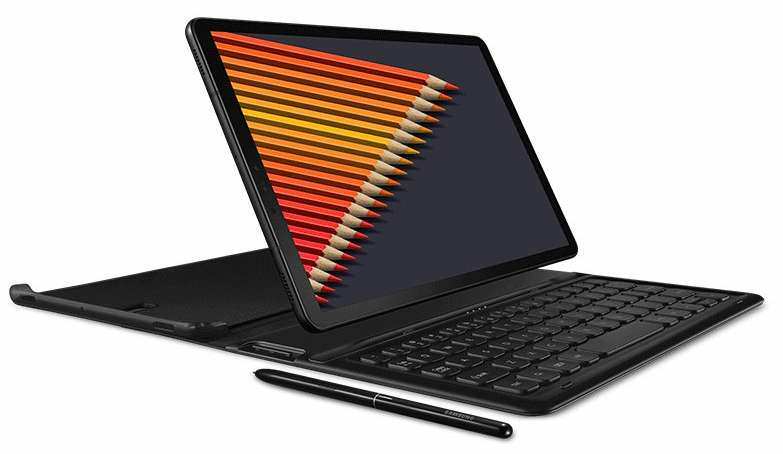 The long-rumoured Galaxy Tab S4 has finally make it out as Samsung officially announced the device for the global market. 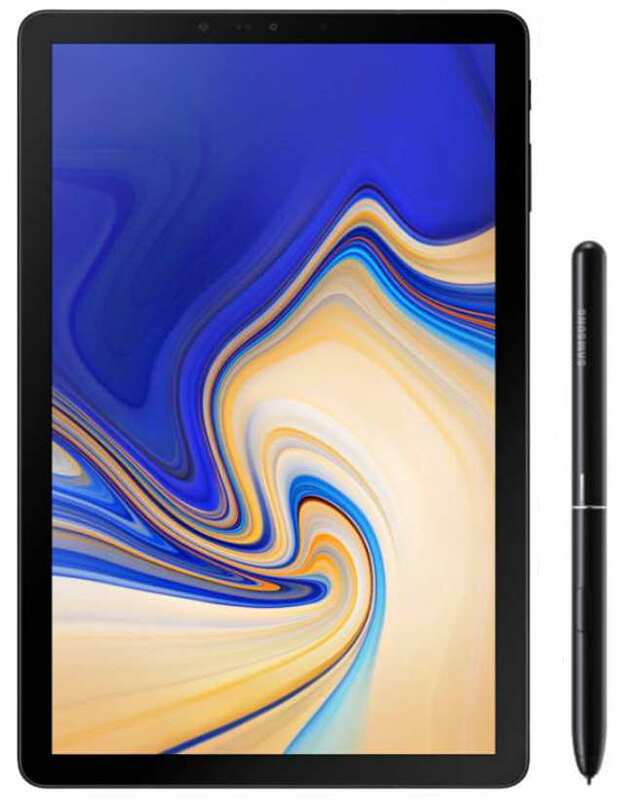 The successor of the Galaxy Tab S3 brings a lot of positive changes both in hardware and software; the most profound being the addition of an iris scanner and the removal of the iconic home button and the fingerprint sensor. For the first time, Samsung is wholly relying on the iris scanner as a means of security, thereby disposing the more-friendly fingerprint sensor. Moreover, the removal of the home button (along with the fingerprint sensor) do allow the screen to stretch a bit further at the bezels. The screen aspect ratio still remains the standard 16:10, an aspect ratio common for tablet of this sort. The Galaxy Tab S4 display is 10.5-inch in size, boasting a resolution of 2560x1600 pixel. The display uses AMOLED technology for backlighting, bringing with it infinite contrast and blackness. Accompanying the tablet is an S Pen, which allow users to create by scribbling on the tablet screen, to take note, to sketch, to draw and to do much more. Powering the device is Qualcomm last year Snapdragon 835 64-bit octa-core chipset, coupled with 4GB of RAM. Internal storage options available are 64GB and 256GB, with a MicroSD slot provided to further expand the storage up to 400GB. At the back is a single 13MP autofocus camera with a LED flash, while a 5MP fixed-focus camera sits at the front. For un-rivalry entertainment, the new convertible Galaxy tablet packed four top-bottom firing speakers tuned by AKG. Dolby Atmos is also present. Perhaps the most delightful thing about the new Galaxy Tab S4 is the introduction of Samsung DeX, which provides a desktop experience when an external display is connected. The DeX auto activate when the tablet is paired with the Book Cover Keyboard (available separately), but users can also choose to enable it manually from the quick panel. When connected to an external display (via USB-C), the tablet screen act as a trackpad or as a sketch pad (depending on your chosen task). Moreover, the tablet remains active when in DeX mode, providing more screen estate. In terms of connectivity, the Galaxy Tab S4 supports Bluetooth 5, WiFi 802.11ac (dual band / MIMO), GPS + GLONASS, POGO pin, and the aforementioned USB 3.1 Type-C port. It is fuelled by a 7300mAh battery with fast charging supports, claimed to render up to 16 hours of video playback. The Galaxy Tab S4 runs Android 8.1 Oreo with Experience UI on top. It comes in WiFi-only and LTE models; the later offering a SIM slot with supports for 4G LTE, which the former lacked. For now, only the WiFi model will be available for consumers with the price set at US$649 for the 64GB storage version, and US$749 for the 256GB storage version. It will be available in the U.S on Amazon, Best Buy and Samsung online store from August 10th, in Black and White color options. The LTE model is expected to arrive sometime in third-quarter on network carriers dominating the region, including Verizon and AT&T. Pre-orders begins on August 2nd through August 9th on Samsung online store, those who order get a free Book Cover Keyboard worth US$149.99.